Not content with releasing high quality house music via their main imprint, City Fly present a limited edition and beautifully packaged clear 10inch by ‘UglyInk’ — a collaboration between the equally talented Ugly Drums and Inkswel. Cologne native Ugly Drums has an inimitable style that has seen him appear on a number of choice labels such as Rush Hour, Freerange and Fifty Fathoms Deep, plus his debut ‘Saturn Memories’ LP on the discernible Quintessentials imprint. More recently he featured on Bartellow’s ‘Humming Birds’ EP for City Fly, turning out an acid-infused interpretation of the title track, so it was only a matter of time before City Fly presented this production wunderkind back on wax again..
Inkswel has gained critical acclaim with his distinctive beat-tape boogie, featuring on labels such as the Firecraker Recordings’ offshoot Unthank, Faces Records, Rush Hour’s ‘Dam jam subsidiary ‘Boogie Bash — not to mention a forthcoming 12inch on Wolf Recordings. He has also collaborated with Chicago house hierarchy Merwyn Sanders (formerly of Virgo Four and Ace & The Sandman) and produced for electro boogie outfit Nite Class for their supreme synth odyssey ‘Love Scenes’ LP, both on Hot Shot Sounds. Having been on City Fly’s radar for some time, they are now proud to introduce Inkswel to the burgeoning City Fly family and present this exclusive collaboration with Ugly Drums. 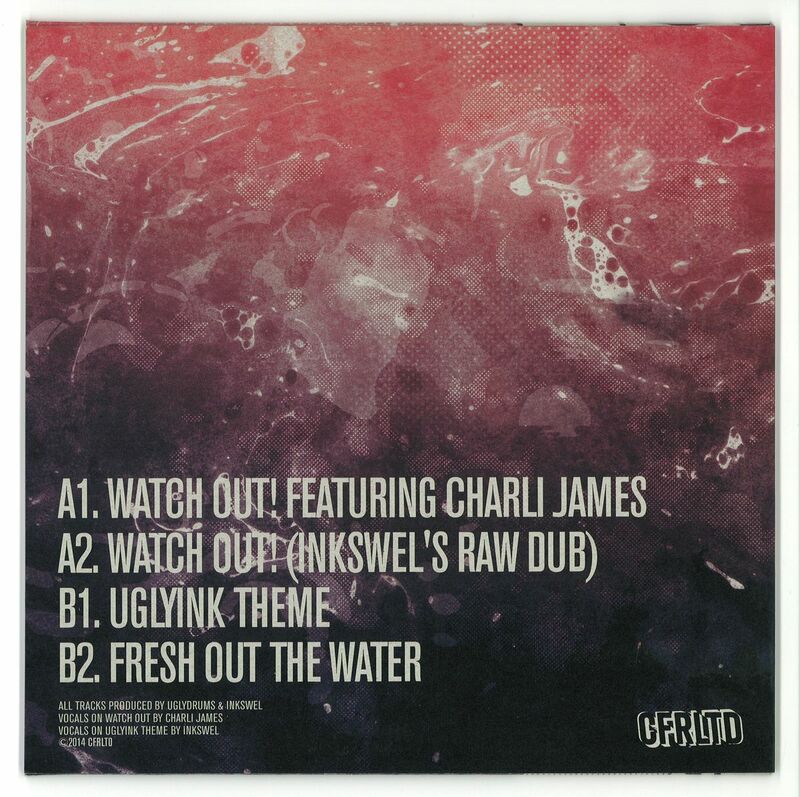 So on to the tracks and the EP kicks off with ‘Watch Out!’ that features the honeyed harmonies of regular Inkswel collaborator Charli James and is a welcome soulful summer sojourn with a spring in its step. With the remix, Inkswel’s interpretation is a typically idiosyncratic affair, taking the track on a heavier drum workout laced with reverberating synths that is aimed more for the floor. 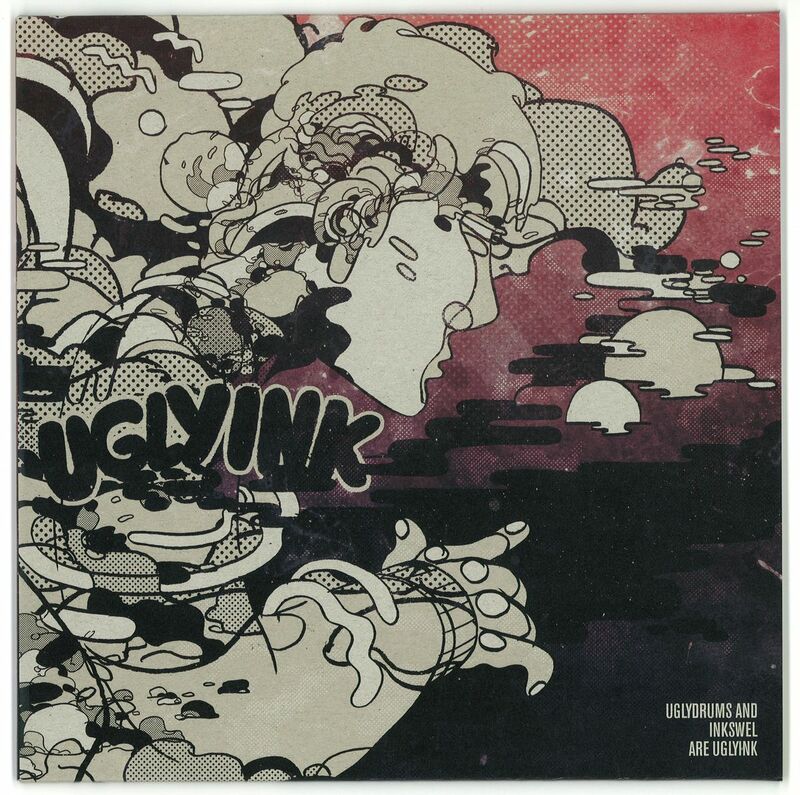 On the flip and the ‘UglyInk Theme’ takes the listener on a deeper trajectory with its space-age synths, cosmic keys and husky male vox resulting in an otherworldly groove. Completing the EP is ‘Fresh Out The Water’ with its vintage drum machines and synth-soaked styling wouldn’t sound out of place on a Dam Funk record.Though a departure from their usual releases, City Fly as ever continue to push the boundaries and showcase the many facets of house — watch out for more of their new limited series coming soon..